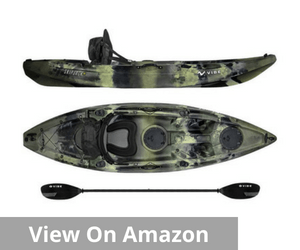 Often when you are looking for the best fishing kayak, the most common question is why to choose a fishing Kayak instead of a motorboat. 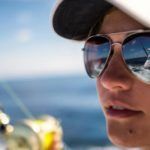 We all know that there are some obvious advantages of a motorboat but fishing on a Kayak is an altogether different experience. Often it is about the ease of operation and the obvious cost-efficiency element that will make you choose the Kayak over a motorboat. The choice of a fishing kayak over a motorboat can also depend on the kind of water body that you will go fishing in. Different types of waterfront justify the use of different types of water transport facilities. 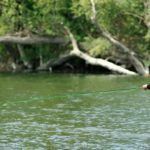 Another factor that may motivate you to go for a Kayak instead of a motorboat is also the kind of fishing that you are into. A Kayak allows an angler to approach a lot more stealthily and with relatively much less disturbance. 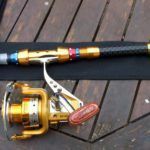 As a result, this can help you achieve a much higher success rate depending on the type of fish that you are targeting. But you must remember using a Kayak for fishing also means that the challenge becomes a lot more intimate than otherwise. So, then that brings us to the point that how do you go about looking for the best fishing Kayak. Apart from the features that you must look out for, it is important that you also take into consideration your relative expertise in dealing with these types of transportation modes. Apart from the features that enhance efficiency, it is often your personal drive and ability that will go on to decide what the best is for you. 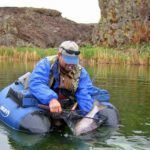 If you have already decided on a fishing Kayak, here is our review of the top options and the advantage associated with each one compared to the others. If you are keen about adventure and have a willing buddy too, the Brooklyn is one of the best fishing kayaks for you. 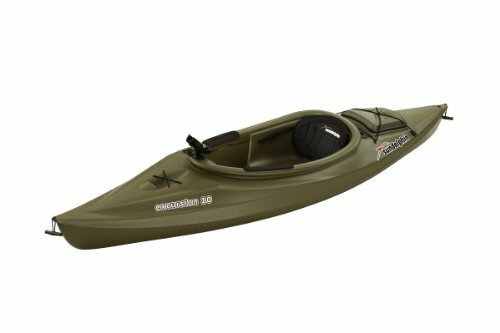 Whether you take it to a lazy river or head up to a lake, this kayak does not just hold up really well but also comes across as an extremely dependable and smooth variant. There are in all 7 rod holders in this Kayak. 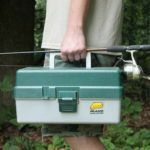 Three of these are adjustable fishing rod holders, and four are flush-mount rod holders. Needless to mention that this gives you a definitive edge when you are fishing. Storage options are also a great strong point of this kayak. It has two waterproof compartments where you can store your stuff rather well. It helps you in keeping all your valuables dry and secure. For storing the relatively larger items, you can easily access the cargo area at the rear of the kayak. The eight scupper holes in this kayak is another striking feature. This ensures that in case water splashes into the vessel, it can drain out rather quickly and easily without too much of a hassle. The twin Paddle Rest is another interesting feature in the Brooklyn. This is essentially a sit on top Tandem Kayak where your hands are free while you are pedaling. Moreover, you do not run the risk of losing paddle control while freeing your hands. 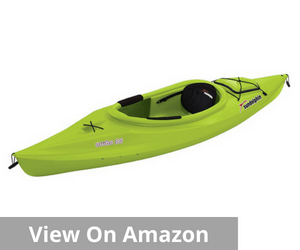 This is a one-seater kayak that is a top choice for fairly experienced kayak riders. This is one of the best fishing kayaks that you may opt for a host of facilities and features that it offers. This single-seater kayak comes with a deluxe seating arrangement and relative stability. In fact, it is this stability element that makes it an excellent option for kayaking when you are fishing. The other list of features includes 4 capped flush mount rod holders and mounting point for Scotty, RAM and Vibe mount accessories. Moreover, there are no overboard paddles in this case. It comes specially equipped with two paddle parks. These are very important to ensure that the paddles are secure and are not moving when these are not being used. This arrangement also prevents lost overboard paddles. The Kayak also comes specially equipped with more than adequate storage space. It has 2 sealed hatches. Both these hatches have bag inserts that facilitate easy storage of gear and food items. That apart, there is also the large bungee rear tank well. This is designed to provide maximum storage space and maximum protection all your kayaking necessities. This Kayak is also full of some great additional features. It has 4 easy-grip carry handles that facilitate convenient transportation and portability for this kayak. It is all geared to ease out the overall process and facilitate carrying it even across long distances. 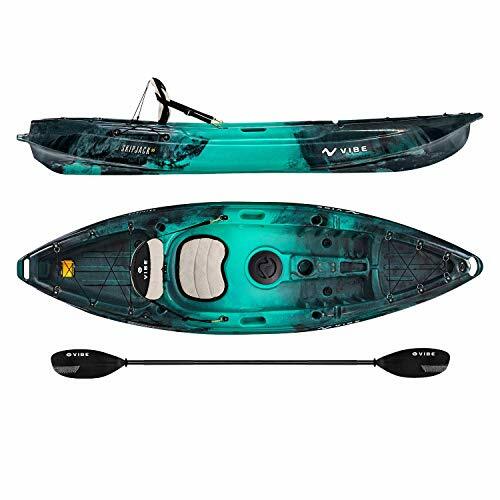 This lightweight and easy to carry Kayak is one of the best fishing kayaks for beginners and all those who prefer to go to the lakes and calm riverfront for fishing. 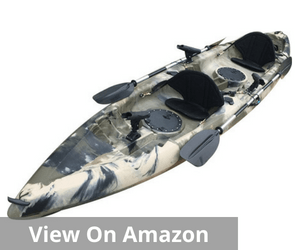 From offering you a stable and uneventful fishing experience to enhancing the overall safety aspects, this Kayak is laden with great features that help you paddle to your favorite fishing spot with relative ease. This kayak too is known for its great tracking ability and the relative sense of stability that it offers. Whether you are a beginner or a relative expert, this kayak can easily put you at ease with its superior tracking performance. It also comprises of two flush mount rod holders and one swivel rod holder. That means in terms of the user’s comfort, it is just about adequate offerings. Plus it makes for a really handy kayak that allows you easy access to a variety of gear that you may need in a short span of time. Rugged UV-stabilized Fortiflex High-Density Polyethylene has been used to make this kayak. That adds to the overall longevity and resistance to corrosion and abrasion of this kayak. It makes it all the more sturdy and gives confidence to its users regarding the efficiency of this kayak. The carrying hands are however as sturdy as they should be. User reviews indicate that they snap quite easily when you try to carry them. 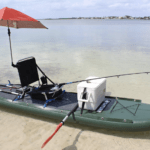 There are some kayaks that help you fish, but some totally remodel your entire fishing experience. This is exactly what the Perception Fishing Kayak does for you. 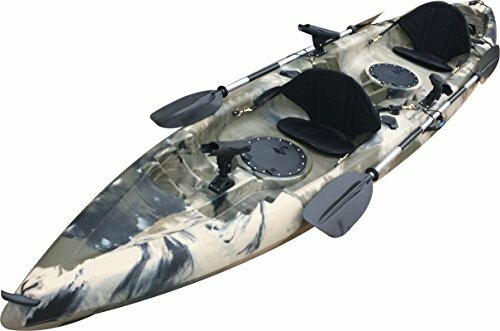 It is one of the best fishing kayaks for all those who are keen on a satisfying and relaxing kayaking experience as they set about fishing. This is the kind of kayak that is exclusively designed for peak performance and absolute tracking stability. Storage is one of the biggest assets of this kayak. You can always carry whatever you need onboard and then find adequate opportunity to store it. Whether it is the bow tankwell with a mesh cover or the rear tankwell, there is always adequate storage space. 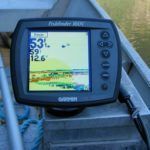 That apart, the molded-in rod holders, the recessed tackle box storage area and a center console for keeping your fish finder and other electronics highlight the depth of designing. The whole kayak has been created with the concept of enhancing storage space and creating an overall sense of comfort and convenience. The removable, stadium-style pro seat also needs special mention. This one comes with the option of either keeping it in upright or reclining position. The adjustments can be molded as per the accessory tracks. This Kayak’s hull is primarily made of polyethylene. That, no doubt, makes it slightly heavier than many others in the same price bracket. But on the brighter side, this adds to the strength and durability of the overall Kayak. The comfort carry handles on the bow also facilitate ease of operation. That is what makes this Kayak such a great option for traveling and fishing for an extended period and with relative comfort and convenience all around. 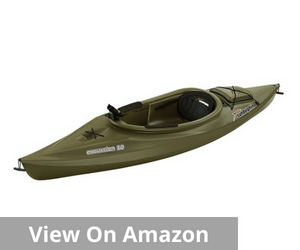 Interestingly there are hardly any negative reviews about this kayak. 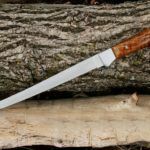 There is one with a two-star rating, but in this case, the grievance is centered around Amazon shipping more than the overall quality of the kayak. If you are keen on fishing in lakes and rivers, the Sun Dolphin Aruba is one of the best fishing kayaks that you can opt for. 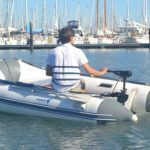 Apart from offering a distinct degree of stability and ease of operation, this kayak is all about user convenience and comfort. If you are a beginner at kayaking, then this is just the right alternative for you in every possible way. 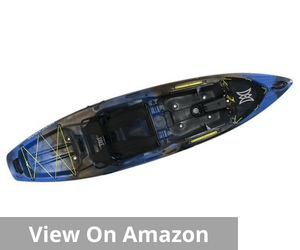 It is one of the most inexpensive kayaks that you can opt for that will offer you a reliable and an extremely dependable operational structure. Every part of the kayak is screaming stability with a loud accent. It is designed in a way that you can operate the tracks and paddles with ease without compromising your stability in any possible way. But the convenience factor does not end just there. The open cockpit also offers another feature that adds to user convenience. It is undeniably the one that offers the easiest entry and exit from the cockpit. This kayak is also relatively lightweight and easy to carry that makes carrying them to distance takes a lot less painful exercise than carrying other kayaks which may be heavier. The storage compartments in this kayak are worth mentioning as these are equipped with shock cord deck rigging and makes for great hassle free and reliable storage ability. Several reviews indicated that though the company claims that they provide paddles, but paddles are not included in the actual package. Though this product is in the $200 bracket that does not mean the company can mislead customers. So pay careful attention to details before deciding on any particular option. As you can understand, the most important element to consider often is when and how you are going to use the fishing kayak. That is what will decide the parameters for the best fishing kayak. This is because these kayaks come in varying length and stability. Moreover, different kayaks respond differently in different types of waterfronts. 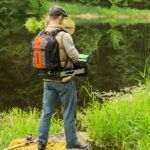 That along with the kind of angler you are and the relative experience in navigating these machines also make a huge difference to what type of Kayak you opt for eventually. Your level of expertise in navigating a Kayak is most important when you are deciding on which type of Kayak to buy. For example, if you are relatively inexperienced, it is always better to go for still waters first. That means a short wide kayak will be preferable. 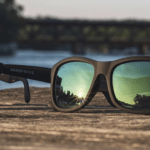 These are highly maneuverable so you can be relatively more confident and more in control of your Kayak. So you can either go for sit-on-top kayaks or the recreational ones. Those will undeniably be amongst the best fishing kayaks that you can choose from to start with. This one is an easy consideration. If you are a novice, you will look for a relatively high degree of initial stability so that will require a wider beam. But most experts and veterans prefer kayaks with relatively high secondary stability that have narrower beams. It is needless to mention that the choice of either one will also impact the relative speed at which you operate these kayaks. But at the same time, it is important to understand that your level of expertise is again a primary consideration in this context as well. Therefore, it goes without saying that if you chose the ones with the narrower beam, it will be a relatively faster Kayak. The broader beam also cuts down the speed to a large extent. So almost like an unsaid rule, the relatively inexperienced or the novice in this area prefer a slower Kayak. But the veterans, in general, go for the fast-paced Kayak and deep into the water with their mean machine. The fact they also go for the sit-in kayaks to further enhance the speed quotient of their mean machine. It is often the most fundamental factor influencing their choice of a kayak most times. Last but not the least; the quality of construction also matters. Different kayaks have different strength points. But when you are looking for the best fishing kayak, it is important that they are the ones that are resistant to extended exposure to water, anti-rust and corrosion-abrasion resistant products. Polyethylene kayaks are undeniably amongst the heaviest, but they are also amongst the most durable ones. The wood or the composite kayaks in comparison are more lightweight. As a result, these are also the ones that are faster. But when it comes to durability of the best fishing Kayak, the waterfront that you frequent to also makes a huge difference. 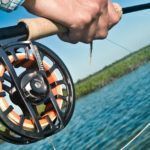 The tips for buying the best fishing kayaks, therefore, highlight that the choice is deeply dependent on your relative expertise in navigating this vehicle. 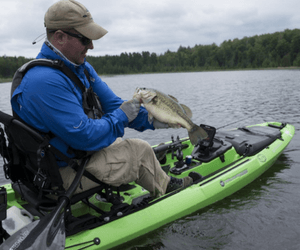 Whether you are going in for the long haul or just for recreation, the right kayak can often go a long way in enhancing the overall fishing experience. With the right kind of fishing kayak, you can navigate it with more confidence and also be able to relax and enjoy your fishing trips in a more meaningful manner. It also enhances the safety element when you decide on what to buy eventually.